The 2017 British Championships has now started in Llandudno. This year the Glorney-Gilbert International, played in Cardiff from 24-26 July, involved teams from England, Ireland, Scotland and France. France won the Glorney (under 18 open) and the Gilbert (under 18 girls), Ireland won the Robinson (under 14s), and England won the Stokes (under 12s). 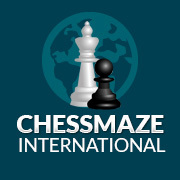 The Irish Chess Union are providing live commentary on the Glorney Gilbert here. A few players from Wales participated in the southern giga-final, held in Richmond on the 22-23 July. Please note that the round times for Monday 24th July 2017 ONLY have been changed to 11.15am and 16.30pm. Ethan Chung, aged nine, finished first in the under 135 section at the 14th 4NCL congress with 4.5/5.